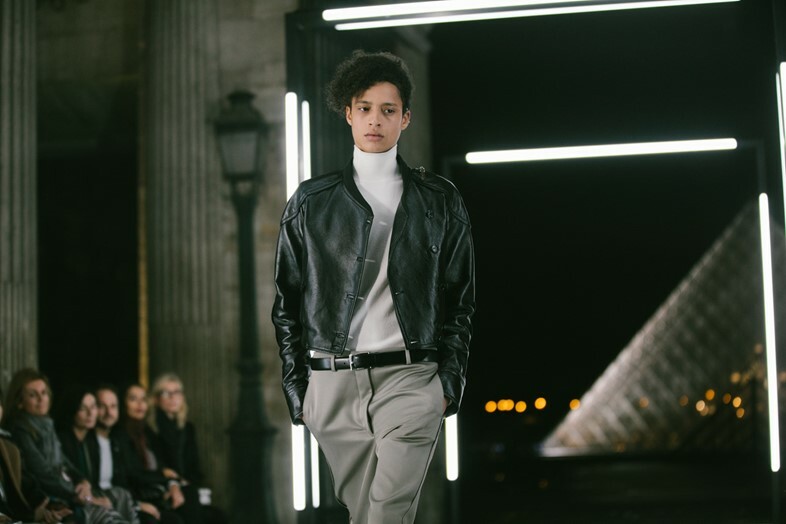 It’s been a long time since Yves Saint Laurent debuted Le Smoking, but Tuesday night’s Louis Vuitton show proved that a suit still has the power to shock. Marking the end to Paris Fashion Week, designer Nicolas Ghesquière presented a futuristic, self-referential collection that blended geography and time – but perhaps the main talking point was the casting. Making their way down the runway – alongside veterans like Natalie Westling, Sora Choi, and Selena Forrest – were a few less familiar faces. Styled mostly in tailoring, these models initially confounded the audience both IRL and on Twitter. 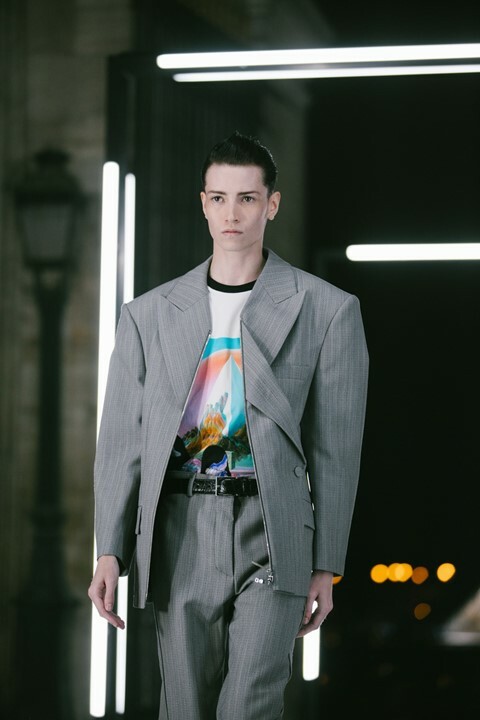 “Menswear!” went the internet’s kneejerk response, but no, this wasn’t exactly true; the looks were part of the regular womenswear line up, just worn by both transgender male and androgynous female models. Backstage, the designer – who works with renowned casting agent Ashley Brokaw – explained that the casting was about playing with ambiguity when it came to gender and ideas of gendered dressing. Jay started acting more like a boy as a teenager – getting a shorter haircut and wearing men’s clothing. Modelling wasn’t something that seemed like an option – until a surprise message about the show came through. “Brisa, the agent at MM Runway in my city, found me via Instagram and told me that Louis Vuitton was looking to cast transgender models. At first, I didn’t believe that this could be real – why would they be interested in that, and how could it be possible that with a lot of beautiful models around the world, a smaller size person from Mexico like me could be selected? But I wanted to try.” After being flown to Paris for a go-see to meet Nicolas and the team, the confirmation came through – Jay burst into tears upon hearing the news. Aside from Jay and Krow were androgynous, cisgendered female models – including Miriam Sanchez, who grew up playing football before being signed to Traffic Models in Madrid. Her outfit – black trousers and a boxy, graphic vest – was a style of clothing she feels comfortable in. “I believe the casting in the show was very important because it proved to me that being yourself can take you a long way,” she said.